The 84th Regiment of Foot (Royal Highland Emigrants) was a British regiment in the American Revolutionary War that was raised to defend present day Ontario, Quebec and Atlantic Canada from the constant land and sea attacks by American Revolutionaries. The 84th Regiment was also involved in offensive action in the Thirteen Colonies; including North Carolina, South Carolina, Georgia, Virginia and what is now Maine, as well as raids upon Lake Champlain and the Mohawk Valley. The regiment consisted of 2,000 men in twenty companies. 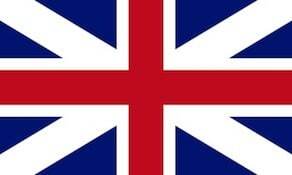 The 84th Regiment was raised from Scottish soldiers who had served in the Seven Years’ War and stayed in North America. As a result, the 84th Regiment had one of the oldest and most experienced officer corps of any regiment in North America. The Scottish Highland regiments were a key element of the British Army in the American Revolution. The 84th Regiment was clothed, armed and accoutred the same as the Black Watch, with Lieutenant Colonel Allan Maclean commanding the first battalion and Major General John Small of Strathardle commanding the second. The two Battalions operated independently of each other and saw little action together. The distinguished war hero, Lieutenant Colonel Allan Maclean of Torloisk, (1725–83), was authorized by Lieutenant General Thomas Gage to raise a regiment from Scottish communities in Canada, New York and the Carolinas. The 84th Highland Regiment was the first to be raised from American Loyalists. The soldiers were drawn from those who had served Britain in the Seven Years War – the 42nd Regiment of Foot (Black Watch), 77th Regiment of Foot (Montgomerie’s Highlanders), and 78th Regiment of Foot (Fraser’s Highlanders). The prospect of raising regiments in the Thirteen Colonies was a dangerous mission. Only two battalions of the five originally requested were raised because of the difficulty of recruiting. When Maclean arrived in New York not long after the war broke out, he was warned not to disembark in his uniform for fear of attack. As a result, when travelling alone he dressed as a doctor. The dangers of recruiting American Loyalists became even clearer after the Battle of Moore’s Creek Bridge in North Carolina. Members of the 84th Highland Regiment were in the Battle of Moore’s Creek Bridge, North Carolina in early 1776. On 27 February 1776, the 84th Regiment, with a number of new recruits, was marching to the port of Wilmington, North Carolina. There they were to join with a force arriving from Europe and participate in operations in the southern colonies. The recruited force, at first numbering 1,600 American Loyalists but reduced during the march by desertions to fewer than 800, faced off against 1,000 American Patriots. The American Loyalists’ movement was blocked by Patriot forces on two occasions, but the Loyalists managed to bypass them to reach the bridge over Widow Moore’s Creek. Captain McLeod, who had survived the Battle of Bunker Hill, was killed leading the charge at Moore’s Creek Bridge. Half of the regiment was captured and thirty were killed; with ninety six officers and men taken prisoner. The majority of the Carolina recruits were never able to join the regiment since the Loyalist forces were scattered after the battle. Lt. Col. Donald MacDonald helped with the recruiting in North Carolina and fought in the Battle of Moore’s Creek Bridge. Both MacLean and MacDonald were taken prisoner. Under McLean’s command, the First Battalion acted primarily to defend Quebec from American Patriot forces. It marched from Quebec in an attempt to repel Brigadier General Richard Montgomery’s invasion in the Siege of Fort St. Jean, Quebec. The regiment made two attempts to relieve the fort, but eventually return to Quebec, where it helped to stiffen the resolve of the civil population until Carleton’s return from Montreal. The regiment was also involved in the Battle of Quebec (1775). Montgomery and Benedict Arnold, who led an expedition through the wilderness of what is now Maine, combined forces and mounted attack on Quebec City. At a crucial moment in the battle, Captain McDougal led 120 of the 84th and 60 Royal Navy sailors against a force of New Hampshire troops commanded by Henry Dearborn. They overwhelmed Dearborn’s men, forcing the survivors to surrender. In the fall of 1775 General George Washington authorized some ship’s captains to engage in privateering activities. In violation of their charter (which allowed the taking of ships but not raids on land targets), the privateering ships Hancock and Franklin made an unopposed landing at Charlottetown, Prince Edward Island on 17 November 1775. Three days later, they sailed to Nova Scotia and raided Canso, Nova Scotia. In 1779, American privateers returned to Canso and destroyed the fisheries, which were worth £50,000 a year to Britain. When Col. Allan Maclean landed in America, he discovered that Major General John Small, was already mobilizing American Loyalists from the 13 Colonies as well as present day Ontario, Quebec and Atlantic Canada to create a Highland Regiment. Along with getting soldiers who fought in Montgomerie’s Highlanders and 78th Regiment of Foot (Fraser’s Highlanders), Small was recruiting soldiers from the 42nd Regiment of Foot (Black Watch); the same regiment that he had served with in the Seven Years War. The regiment was known as the “Young Royal Highlanders” until it turned into the 84th Regiment. Boston was evacuated in March 1776 and Major Small and the first wave of American Loyalists arrived in Halifax with his newly formed Highland Regiment. A few months later on June 11, 1776, Small and some of his Highlanders left for New York. Initially, the headquarters for the 84th Regiment was in Halifax. During the nine years of the war, members of the Battalion served on Detachments around Halifax: the Redoubt & Fort Needham (Halifax), Fort Sackville (Bedford), Fort Charlotte (Georges Island (Nova Scotia), Fort Clarence (Eastern Battery, Dartmouth). The 84th Regiment was also stationed at four locations around the Bay of Fundy: Fort Edward (Windsor), Fort Anne (Annapolis), Fort Cumberland (Amherst), and Fort Howe (Saint John). There were also forts that the 84th were stationed at on Cape Sable, Fort Cornwallis (Kentville, Nova Scotia), Sydney Mines Battery (Spanish River, Sydney), Fort Frederick (Placentia, Nfld.). The Regiment was also at Fort Hughes (Oromocto, New Brunswick). As well the 84th Regiment was stationed at forts in the 13 Colonies: Brooklyn Heights (New York) and Ft. Augusta (Georgia). Small assigned Captain Allan Macdonald, husband of the famous Scottish heroine Flora MacDonald (Scottish Jacobite), to be the commander of Fort Edward for five years. Captain Allan Macdonald had fought in the Battle of Moore’s Creek Bridge in North Carolina, where he was captured. He was imprisoned for two years until a prisoner exchange in 1777, when he was sent to New York and then to Fort Edward in Windsor, Nova Scotia. Major Small gave him command of the Second Battalion, 84th Regiment, at Fort Edward (Nova Scotia). He served there along with two of his sons, Ranald and Charles, who were among the young officers of the regiment. In 1750, at the age of 28, Flora married Captain Allan Macdonald of Kingsburgh, and in 1773 together they emigrated to Montgomery County (formerly Anson), North Carolina. Flora actively participated in recruiting men for the 84th Highland Regiment, displaying once more her resolution. She exhorted the 84th Regiment at Cross Creek, North Carolina (present-day Fayetteville) before they went off to fight in the Battle of Moore’s Creek Bridge. After Flora’s husband was taken prisoner, Flora remained in hiding while the American Patriots ravaged her family plantation and she lost all her possessions. When her husband was released from prison, she travelled with him out of North Carolina to New York and then to Fort Edward in Windsor, Nova Scotia in the fall of 1778. Flora only stayed in Nova Scotia for one year at Fort Edward, Windsor. In 1779 Flora returned home to Dunvegan Castle in Isle of Skye, Scotland. After the war, in 1784, Allan followed her. One of the crew in the Battle of the Newcastle Jane was a young recruit Lachlan Macquarie, who eventually became known as “the Father of Australia.” Macquarie began his military career in 1776 at the age of fourteen when he sailed from Scotland to the New World. The attackers were repulsed and, six months later, on 9 April 1777, he obtained an ensigncy in the 84th Regiment. He did garrison duty, first in Nova Scotia, and then in New York and Charleston. He was commissioned a lieutenant in the 71st Regiment in January 1781. In 1784 he returned to Scotland from his posting in Jamaica, and was reduced to half-pay. Machias, Maine was used as a base for privateering against Nova Scotia and as a staging and supply point for American Patriot attacks on Fort Frederick, Saint John and Fort Cumberland. In 1776, privateers from Machias had burned Fort Frederick at Saint John to the ground. In 1777, American forces briefly controlled Saint John. In response, Major John Small personally led a force to drive out the Americans. When the 84th Regiment landed at Saint John on June 30, 1777, the Americans retreated to the woods. The 84th marched through the woods and were ambushed by the American. Twelve Americans and one member of the regiment were killed. Weeks later, on July 13, 1777, American privateers again attacked Saint John and were repulsed by the 84th. In August 1777, the Americans attacked yet again and were successful, carrying off 21 boatloads of plunder. The 84th immediately began to replace the low-lying Fort Frederick with Fort Howe, which overlooked the settlement. Fort Howe became instrumental in curtailing privateer action and was used as an assembly point for attacks on the 13 Colonies. On October 2, 1778, the 84th Regiment, under the command of Captain MacDonald, was involved in the defeat of an American privateer at Annapolis Royal, Nova Scotia. Captain MacDonald arrived at Annapolis by ship, only to find a large privateer ship raiding the port. He destroyed the privateer vessel, which mounted ten carriage guns. Captain MacDonald also caught the attention of General Massey, who wrote that he “highly approved” of his conduct. In November of 1777, the 84th Regiment was involved in the raid of a fort at Castine, Maine, a privateering port at the mouth of the Penobscot River. The capture of this vital port interrupted its use as a staging area by privateers to attack Nova Scotia. Upon leaving New York, the Second Battalion, 84th Regiment was engaged in the Southern theater of the American Revolutionary War. The Southern theater was the central area of operations in the second half of the American Revolutionary War. During the first three years of the conflict, the primary military encounters had been in the north, focused on campaigns around the cities of Boston, New York, and Philadelphia. Earlier in the war, the 2/84th Regiment was involved in trying to take Charleston, South Carolina in the Battle of Sullivan’s Island. On June 24, companies of the 2/84th Regiment from Boston and New York left their ports to descend upon Fort Sullivan (later renamed Fort Moultrie), South Carolina. Four days later the 84th Regiment from New York, on June 28, 1776, engaged in the Battle of Fort Sullivan (see Fort Moultrie National Monument). The fleet bombarded the fort and suffered excessive damage by return fire. The attack was a failure; 38 of the regiment died. The 84th Regiment did not return to Charlestown, South Carolina until 1780. The 2/84th Regiment was involved in a skirmish at Wiboo Swamp, Savannah River, Clarendon County, South Carolina (1781). 3 of the 84th Regiment were killed as were about 18 American Patriots. (See Wiboo Swamp Skirmish). The 2/84th Regiment was then involved in protecting the Loyalist stronghold of Augusta, Georgia. The first skirmish was at Wiggin’s Hill, Savannah River, Georgia in April 1781. (See Skirmish at Wiggin’s Hill). The Patriots surprised the regiment at Wiggin’s Hill, but were twice repulsed. The 84th then took prisoners, killed many of them and burned their homes. Captain McKinnon tried to stop what he considered his own regiments “barbarity”. The 84th was also involved with trying to protect Fort Motte in the Siege of Fort Motte, Georgia (1781). The 2/84th Regiment was forced to surrender on May 12 and were taken prisoner. One of those in the Star Fort who belonged to the Ninety-Six Militia was Captain John Bond. Along with the rest of the American Loyalists from Ninety-Six, John Bond eventually left South Carolina and settled in Rawdon Township (see Rawdon, Nova Scotia), the place being named after Lord Rawdon who had saved them in the siege. After this incident, the 2/84th Regiment went to Georgia, Florida and Jamaica. In Georgia, they were involved in the skirmish on the Ogeechee River, Burke County (1781). (See Oggeechee Skirmish). The 84th was the only Highland regiment to keep and use its traditional highland uniform; plaids and swords, for the duration of the war. General Gage specified that the new military unit would be “cloathed Armed and accoutred in like manner with His Majesty’s Royal Highland Regiment”, indicating that they would wear the Highland Scots military uniform, unlike the more conventional uniforms worn by other Provincial units. The original uniform of the first battalion was the green Provincial uniform, consisting of a long, green coat, tri-cornered black hat, breeches, and gray hose. They were armed with surplus King’s Long Land Muskets from the Seven Years’ War. In the second quarter of 1777, they received kilts, belted plaids (or perhaps both) in the government sett and wore these with their green Provincial coats (which were shortened) until these wore out, at which time they were replaced with the red coats of regulars. The Second Battalion did not do as well; having to provide for their own uniforms until the local governor was formally ordered to clothe and arm them in the autumn of 1776. Upon their incorporation into the Regular Establishment, their uniform was standardized to the short Highland- style coat with dark blue facings and white turnbacks. The regimental lace is presumed to have been white tape, with one blue worm between two red ones: but this description is based on a later 84th Regiment’s practices. No contemporary descriptions of the regimental lace have been discovered. Buttons had one of three variations; all of which incorporated “84th” with the customary Highland embellishment. The men were issued plaids or kilts of government sett. Each man was also issued a bonnet, multiple shirts and a white wool waistcoat with regimentally marked buttons. In addition, each man was issued two pairs of gaitored trousers, one of linen for the summer and one of blue wool for the winter. Companies in the South Theater were issued brown wool gaitored trousers for the winter instead of blue wool. Officers’ uniforms used gold lace and buttons. In winter, it was common for the men to wear trousers and plaids simultaneously. Members stationed in Canada were issued a wool waistcoat, a blanket coat, overshoes, a watch cape, mittens, ice creepers, and snow shoes. Major Small purchased Malachy Salter’s grant (present day Selma, Nova Scotia) and built a manor house on an estate which he named “Selma”, after which the community is named. Small had hoped to establish the Feudal Barony of Straloch in Selma but his last will and testament was not honoured. The First battalion settled mainly in Kingston, Ontario. A few took passage, instead, to Britain. This unit, the “old 84th”, was completely disbanded and has no direct descendants in the military of the modern United Kingdom. Later regiments to bear this number (84th (York and Lancaster) Regiment of Foot) have no historical nor traditional connection to it. However, the Canadian Army considers the 84th to be continued in the Stormont, Dundas and Glengarry Highlanders.